Steich Overhead Doors offers the latest in what's new in garage doors - wood, steel, composite, wrought iron and glass for your southeastern PA. home or business. You're sure to find the perfect style to transform your garage and your home. Steich Overhead Doors offers many unique designs that will help you to enhance your homes curb appeal in custom wood, steel and composite carriage house style garage doors. This family owned local business has been supplying residents of Southeastern Pennsylvania garage doors with innovative options like grooved steel vintage designs at an affordable price for over 30 years. The Steich Overhead Doors commitment to excellent customer service sets us apart from the competition. The Steich Overhead Doors popular line of steel raised and flush panel garage doors will complement any home style. Add one of our many decorative window choices to create a custom look. The Steich Overhead Doors commitment to excellent customer service sets Steich Over Head Doors apart from the competition. Commercial Garage Doors from Steich Over Heads Doors Inc are the preferred manufacturer and supplier of commercial overhead and upward acting sectional garage doors among architects, and building professionals in the Philadelphia area. What's New in Garage Doors? 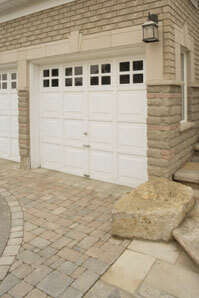 Today's garage doors are much stronger, better insulated and provide better security than their predecessors. Safety concerns and protection have been designed into the latest models. Styles materials and colors are almost unlimited. Many of our steel doors offer a limited lifetime warranty. Plastic and composite doors are also becoming a favorite of our customers. Family Owned and Serving the Bucks County Area for over 30 Years! Jason! I just wanted to thank you for such a great job with the garage door at my house! It looks great! You were timely and responsive. Great installation! I would recommend your company to anyone who can use your services! © 2012 Jason Steich Overhead Doors, Inc.